B Well is a B Group vitamin supplement containing essential B group vitamins and folic acid which are essential for energy production, efficient feed utilization and blood cell formation. These B group vitamins are water soluble and not stored in the body and lack of B Vitamins can result in poor performance. For maximum benefit B Well should be fed daily on a week on week off cycle that is fed for seven days, none for the next seven days and then repeat, this pulse feed system really delivers results. Aids digestive system and the utilisation of feed. 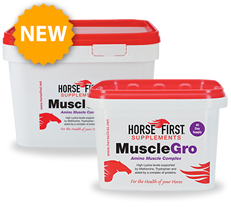 Stimulates a healthy appetite when travelling or when your horse is super fit and not eating. Used by race horse trainers to keep their horses eating when they really need to. "Use B Well to promote healthy appetite when your horse is not eating as much as it should." Feed on a week on week off cycle. Horses: Add 25ml to feed daily. Mares: Add 20ml to feed daily. Foals: Add 10ml to feed daily.